One of our favorite new uploads comes to us from the French band Salmo. They are a post-punk experimental trio composing narrative music inspired by nature or natural phenomenons. Their self-titled album is entirely devoted to the life of a river trout, from birth to death. The tracks flow with forward momentum, and capture something dark, cool, and dynamic. They are offering this release using the Creative Commons Attribution 4.0 license, which makes this river trout album free to spawn many other unique creations (animations, video games, remixes), as long as they give attribution. More Info. Skin on the Clock by Secret Boyfriend is another solid release from the Price Tapes label based Providence, RI. Skin on the Clock is a drone-y experimental mix of songs that take you on modulated journey through the land of mono magnetic music that slips in and out of catchy territory. The spectrum of sounds and samples used are skillfully assembled into a good album that is ripe for your tape deck. Ryan Martin, the solo-artist behind Secret Boyfriend, hails from Chapel Hill/Carrboro, NC where he is helping to keep the low-fi/expiremental/noise game alive and well. If the digital download provided here isn’t enough to whet your tape palette, mosey on over to pricetapes.tumblr.com to get a physical copy. Bottlesmoker is Anggung Kuy Kay and Ryan Nobie Adzanian, an electronic pop duo from Bandung, Indonesia. When their local record labels didn't know how to charecterize their sound, they turned to the web and Creative Commons to share their music under the belief that "if there are 10 people who hate your music, there will be 100 people or more out there who love your music elsewhere." They were right. Their unique indietronic instrumental sound is created with self-made instruments and circut bending. Their favorite sounds come from toy musical instruments such as glockenspiel, hand bell, melodica, and pretty much any toy that reminds you of toy phones, radio or Nintendo DS. Inspired by musicians such as Lullatone, Dan Deacon, and Tidy Kid, they describe their music as "a happy place where you do your daily activities" such as sleeping, riding, reading and making art. Their music first came to us as part of an incredible Indonesian CC Music Compilation brought to us by our curator XEROXED. You can download their full album Hypnagogic here on the Free Music Archive, and check out their website and Soundcloud page for more catchy tunes you'll want to take with you everywhere. Nult came together in late 2011 in Osona, in central Catalonia, Spain. Their music is highly narrative with postrock influences, and each of their tracks takes on the charecteristics of a landscape, or a film. Their debut album asil liseli was put together over the course of a year, and reflect the thoughts, reflections, and voices of this time for the band. 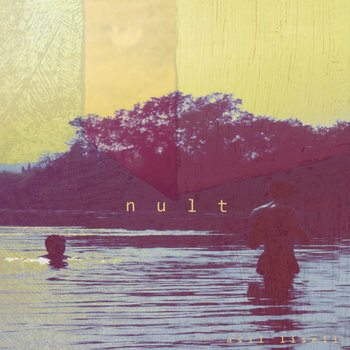 It's just another great summertime upload from the La Gramola Netlabel. La Gramola (in English, jukebox) curates some incredible pop, rock, indie, and experimental albums for the FMA. In fact, one of our twitter followers shared that this was one of his favorite albums ever. Dive in. With winter and the hiccup of daylight savings time behind us, our taxes filed, our yearly vacation time used up already and our New Year's resolutions long forgotten, we set to the tasks of re-populating the Earth and making beautiful music. 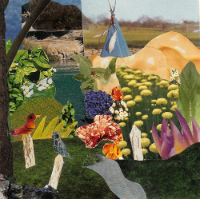 For this Spring Compilation from Peppermill Records, enjoy a lovely string of more acoustic-based artists to brighten your weeks. Some of my favorite gems here include the bouncy French indie pop opening track from Montag, and the intimate and textured vocal duos in "Pony Rides" by Candy Claws. Moscow's Post-Materialists (Пост-Материалисты) are too weird for Moscow's conservative venues. But they don't care. Inspired by freeform experimental groups like The Residents and Big City Orchestra, and in-league with locals like Asian Women on the Telephone and Arabian Horses, the Post-Materialists' sound is best heard in Moscow's basements and abandoned factories. Sergey founded Post-Materialists in 2008, starting out as a half-improvised duo with Kobyla. Sergey is a saxophonist, riff-master and lyricist who performs solo as Fish Eye, and plays in everything from hip-hop to noise rock groups. Kobyla cut his teeth on post-punk guitar and synth-pop. Additional members join in on anything from effects pedals to violin, so even as songs take shape, Post-Materialists keep the spirit of improv and continue to evolve. The group has developed a following not only in the fringes of Moscow, but all over the world thanks to releases on international labels like Cack Tapes, Retrotrasher, Underground Pollution and Hiroshima Toy Pet. I first heard about them through a tape on Portland Oregon's Eggy Records with art by Massachusettes experimentalist Sam Gas Can. Of the 25+ tracks that Post-Materialists have shared here on the FMA, I've picked out a few of my favorites below. "Jazz Flutes" and "I'm Sitting On You" are from the sax-surfin-on-sludge release Teenage Gigantizm. "Glyptique" is some of that hypnotic synth burble from their twisted new 7". "Mathematic Nightmare" recalls coconspirators AWOTT and can be found on Junky Tapes alongside an industrial take on "Venus in Furs". "Backward City" is indicitive of the lo-fi downbeat drone incantations from Post-Pop, originally released on a cassette on Russia's Cack Tapes. And their First EP finds roots in a pot'n'pan approach to no wave, in the vein of "Evening Event." Check out a live rendition of "Teenage Giganitizm" and a music video called "Singer of Sad Songs" after the jump.